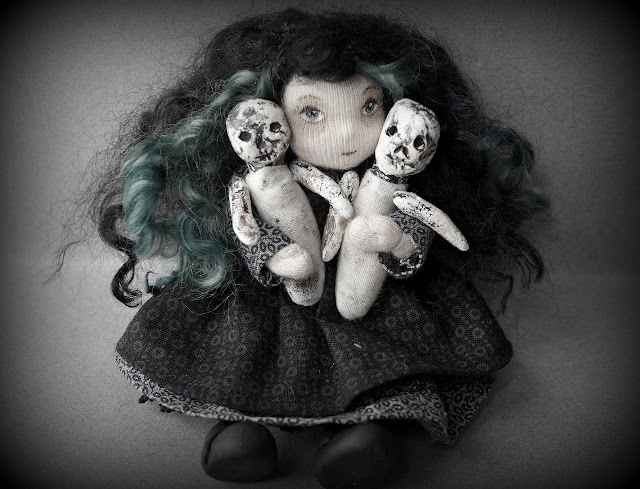 Arabella is my newest Ghastly Girl and as you can see, she absolutely adores her little baby dolls. 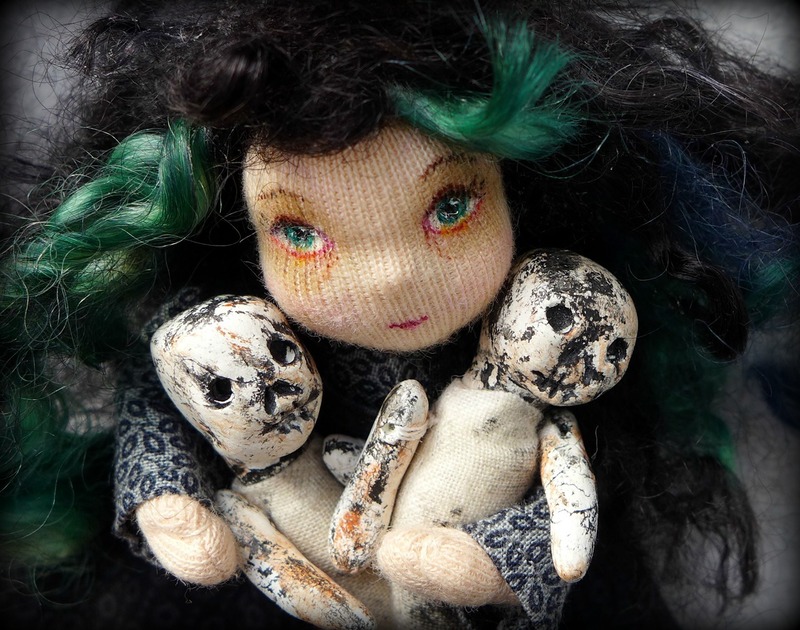 She dug them up all by herself one night in the old graveyard and now she cares for them so tenderly. 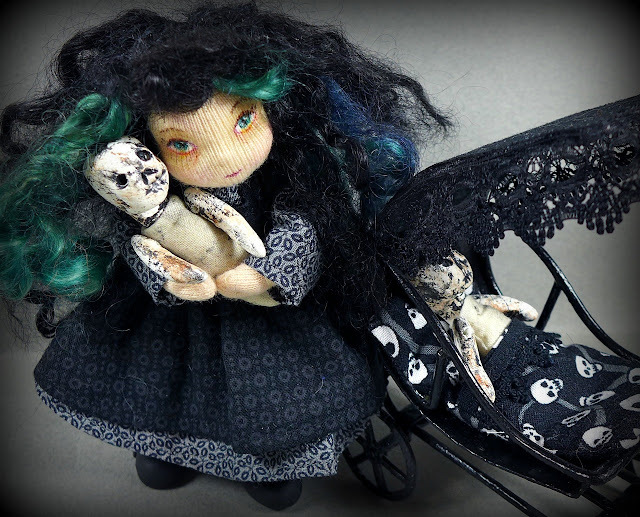 She loves to take them for moonlight strolls in their lovely carriage, feed them bottles of nightshade tea, and tuck them tenderly into their coffins every morning. 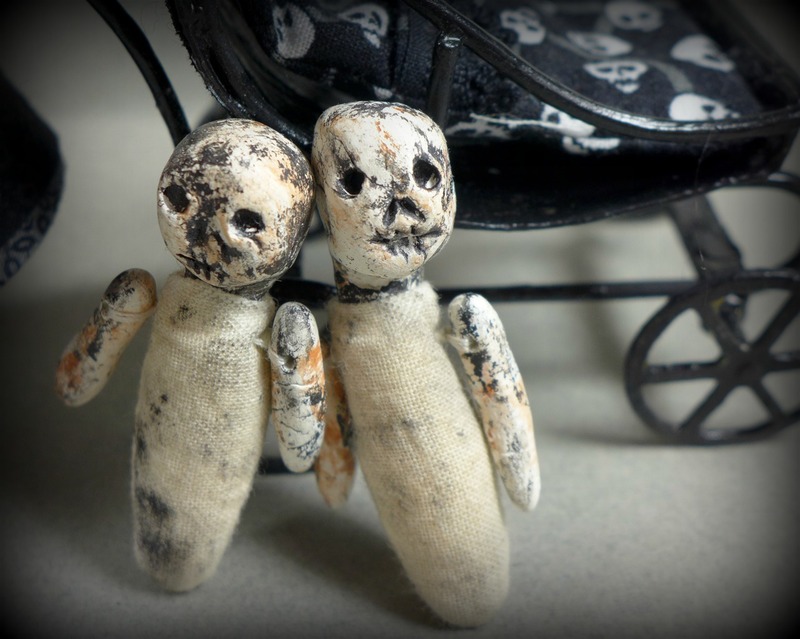 I love making these dolls but the baby carriage and the little baby dolls made this project especially fun!